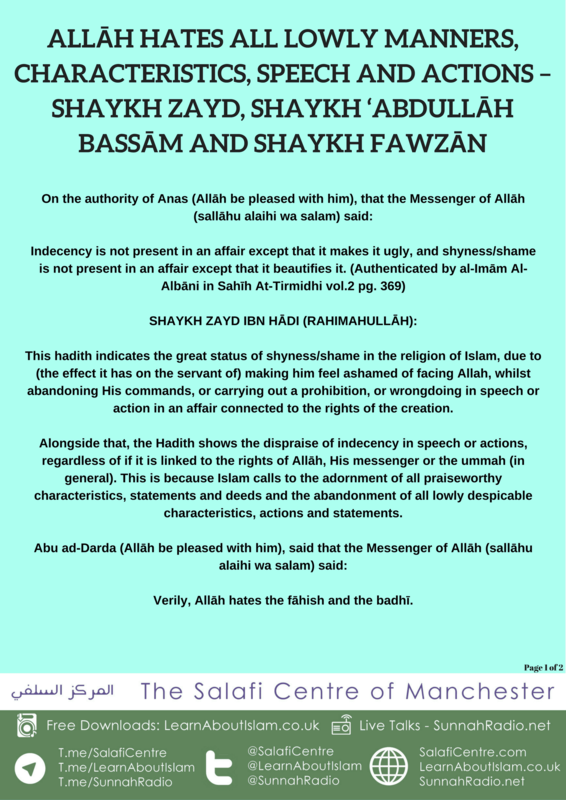 This hadith indicates the great status of shyness/shame in the religion of Islam, due to (the effect it has on the servant of) making him feel ashamed of facing Allah, whilst abandoning His commands, or carrying out a prohibition, or wrongdoing in speech or action in an affair connected to the rights of the creation. Alongside that, the Hadith shows the dispraise of indecency in speech or actions, regardless of if it is linked to the rights of Allāh, His messenger or the ummah (in general). This is because Islam calls to the adornment of all praiseworthy characteristics, statements and deeds and the abandonment of all lowly despicable characteristics, actions and statements. Verily, Allāh hates the fāhish and the badhī. Al-Fāhish are the perpetrators of foul indecent disgusting actions and Al-Badhī are the utterers of indecency, cursing, revilement and slandering etc. All of these affairs are evil and Allāh hates those who posses these two characteristics. In conclusion, these are not the manners of someone whose heart has been illuminated with the light of īmān in Allāh. Nor of one whose manners have been beautified by at-Taqwa. Or of one whose conduct has been improved by worship, or by the one whose tongue has become rectified and refined by adh-dhikr; rather these are only the manners of the riffraff from the sinful and hypocrites. 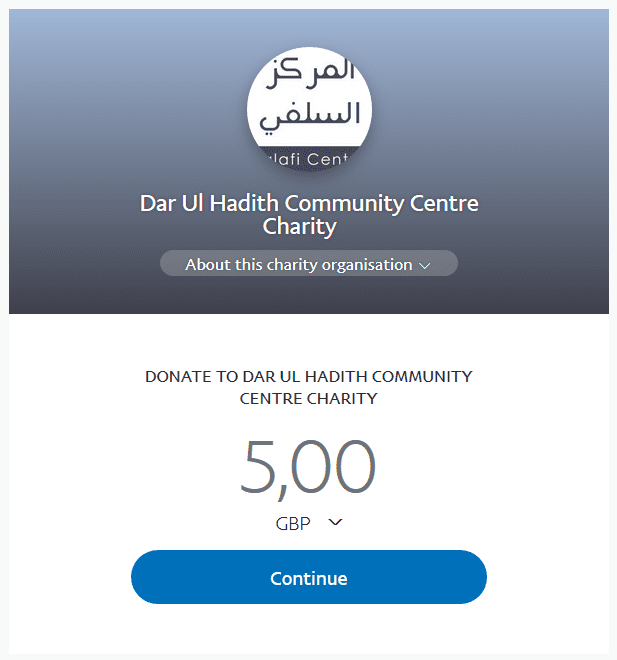 When the issue is as you have learnt oh Muslims, then verily it is compulsory upon us to take an example from what these texts show us, in relation to the praiseworthy nature of shyness/shame and the evil of depravity, indecency, lewdness etc.